According to the American Dental Association, approximately 34% of the U.S. population suffers from temporomandibular joint disorders (TMD). Many times, patients do not even realize they have TMD, which is where you come into the picture. With an estimated 34% of patients suffering from TMD it is your job as their dentist to identify and treat these disorders, as they become apparent. TMD is a progressive disorder that can worsen over time, which makes it imperative that this painful condition is treated as early as possible. By receiving continuing dental education, you can learn how to properly identify and treat TMD in your office. This will allow you to be able to identify TMD within your patients at their bi-annual dental checkups, which can save them a lifetime of pain. As mentioned previously, I encourage you to visit http://www.mpateldds.com/upcoming-lecture/ to learn about upcoming lectures to further improve the services you offer at your dental practice. You can also contact me for consulting options. 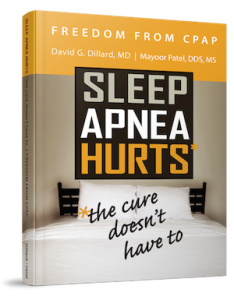 Through consulting, I can help you introduce TMD and Dental Sleep Medicine into your office. From your office to your marketing plan, consultation is key. Take the next step toward improving your patients’ oral and overall health by furthering your dental education with the addition of TMD to your dental office.